✔ Powered by dual 18650 batteries. ✔ 230W max power. 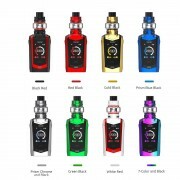 ✔ 5ml e-liquid capacity. ✔ Baby V2 series coils. 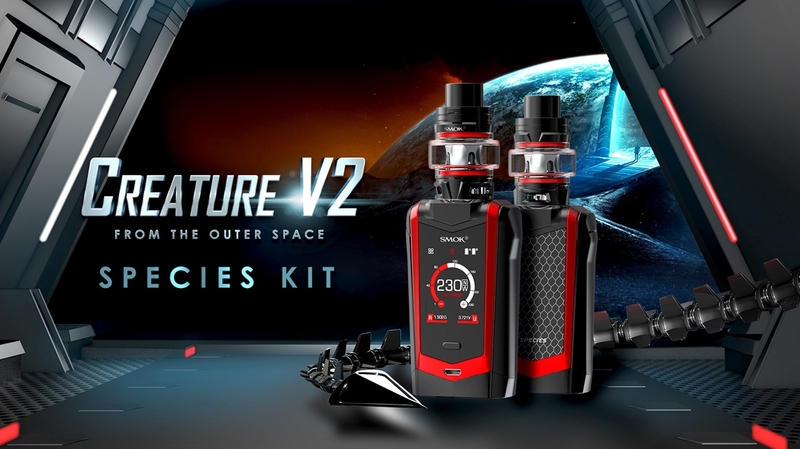 SMOK Species Kit comes with Species mod and TFV8 Baby V2 tank. 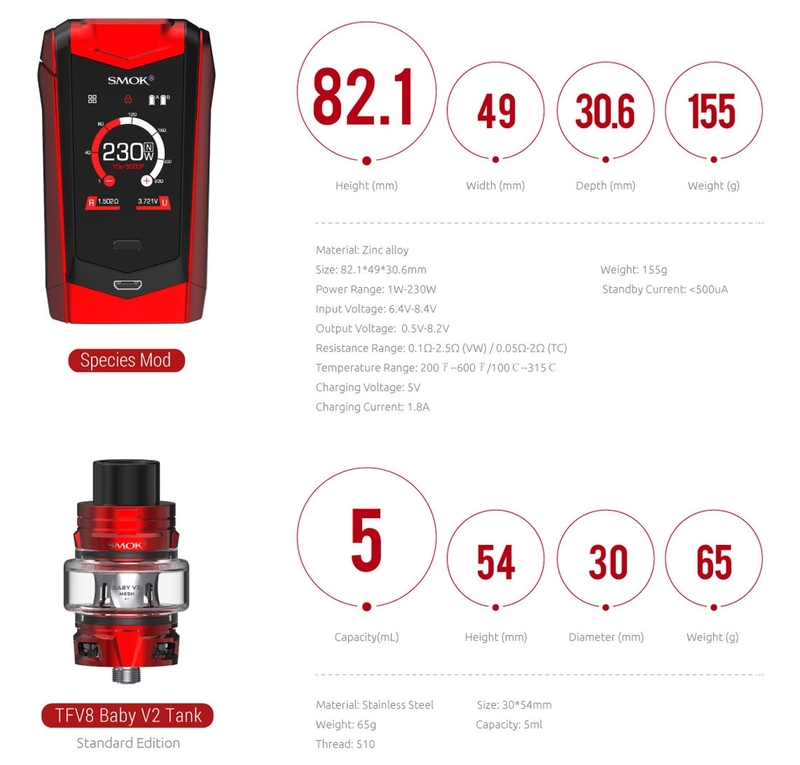 The Species mod is powered by dual 18650 batteries and delivers 230W max power. It features a 1.45 inch high-definition touch screen with brand-new user interface. The independent screen locking button makes locking/unlocking the screen simple and secure. With dual battery life indicator, it is easy to read the remaining battery. It provides multiple protections to avoid potential risks. 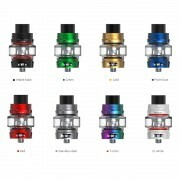 The TFV8 Baby V2 tank with 5ml capacity, features top rotary filling design and leak proof slot. The Baby V2 series coils will provide you huge vapor and pure flavor. ➤ 1. 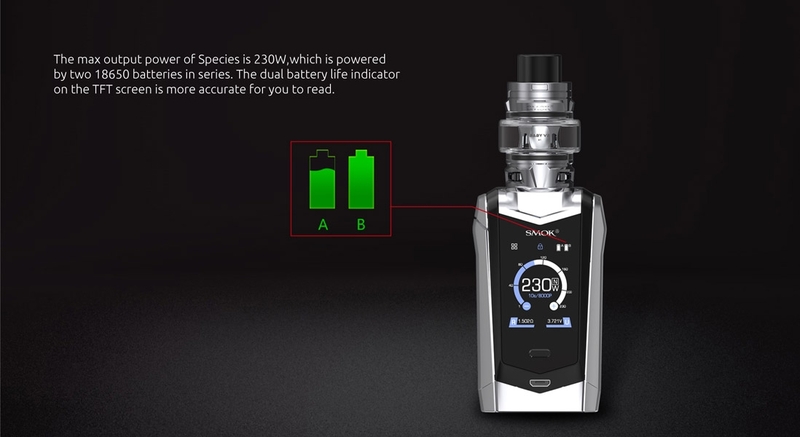 Species mod is powered by dual 18650 batteries and delivers 230W max power. ➤ 2. 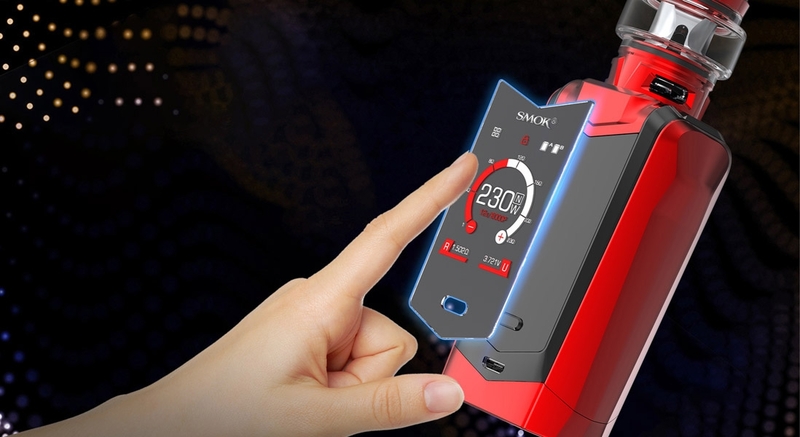 1.45 inch high-definition touch screen with brand-new user interface. ➤ 3. The independent screen locking button makes locking/unlocking the screen simple and secure. ➤ 4. Easy to read the remaining battery with dual battery life indicator. ➤ 5. Provides multiple protections to avoid potential risks. ➤ 6. 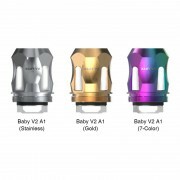 TFV8 Baby V2 5ml tank with top rotary filling design and leak proof slot. ➤ 7. Baby V2 A1 0.17ohm Single Coil and Baby V2 A2 0.2ohm Dual Coils. ➤ 8. The tank uses antibacterial medical cotton that can reduce the amount of bacterial. 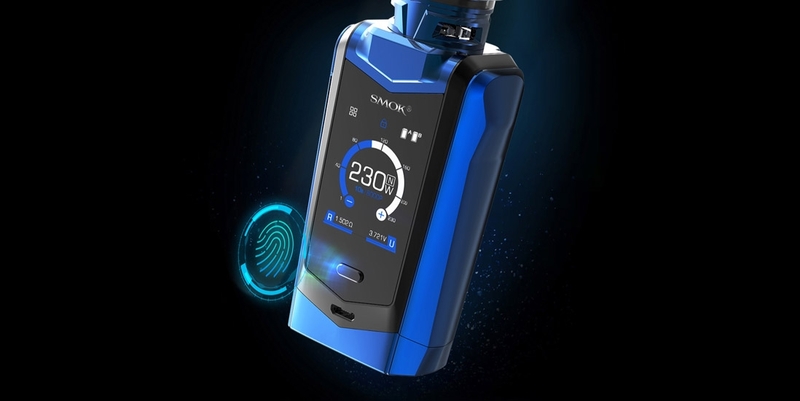 ❤ Please read the user manual carefully before using SMOK Species Kit. ❤ Species supports firmware upgrading and USB charging. 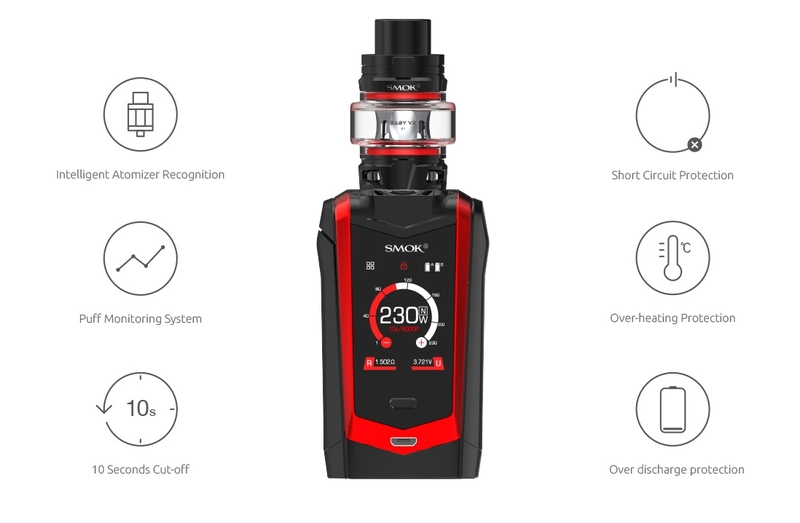 ♻ 6 months warranty period for SMOK Species Kit. ⚠ This product is not intended for use by persons under legal smoking age, nonsmokers, women who are pregnant or breastfeeding, or person with or at risk of heart disease, high blood pressure, diabetes, or taking medicine for depression or asthma.